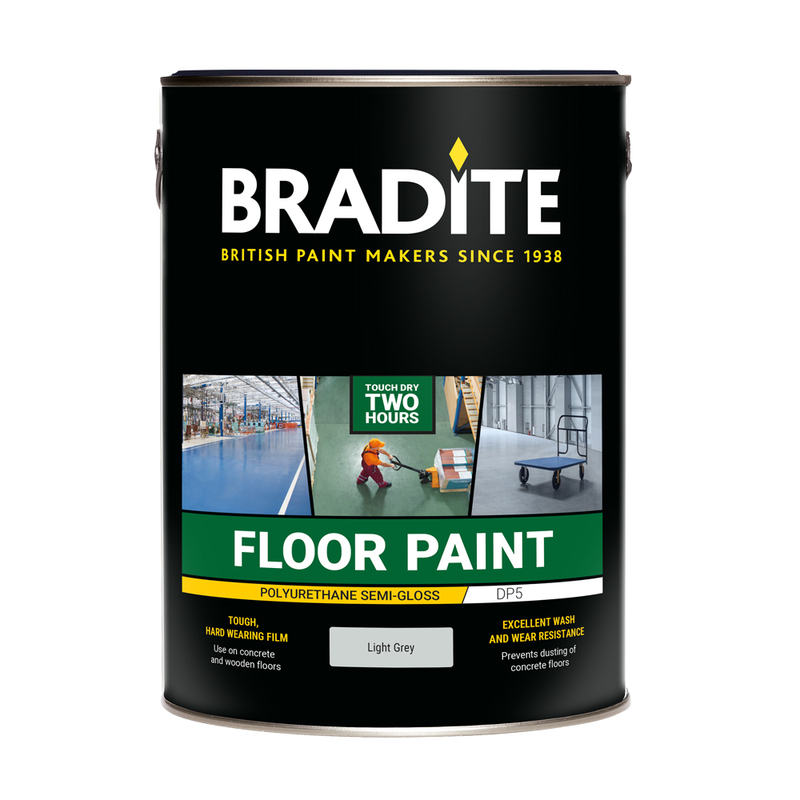 For use on concrete, wooden and suitable primed steel floors. Prevents dusting of concrete floors. Concrete, wooden, & steel floors, clean, free of contamination, dust, efflorescence, dry & suitably prepared. Interior & limited exterior use. 6 ready mixed colours, full BS & RAL to mix. 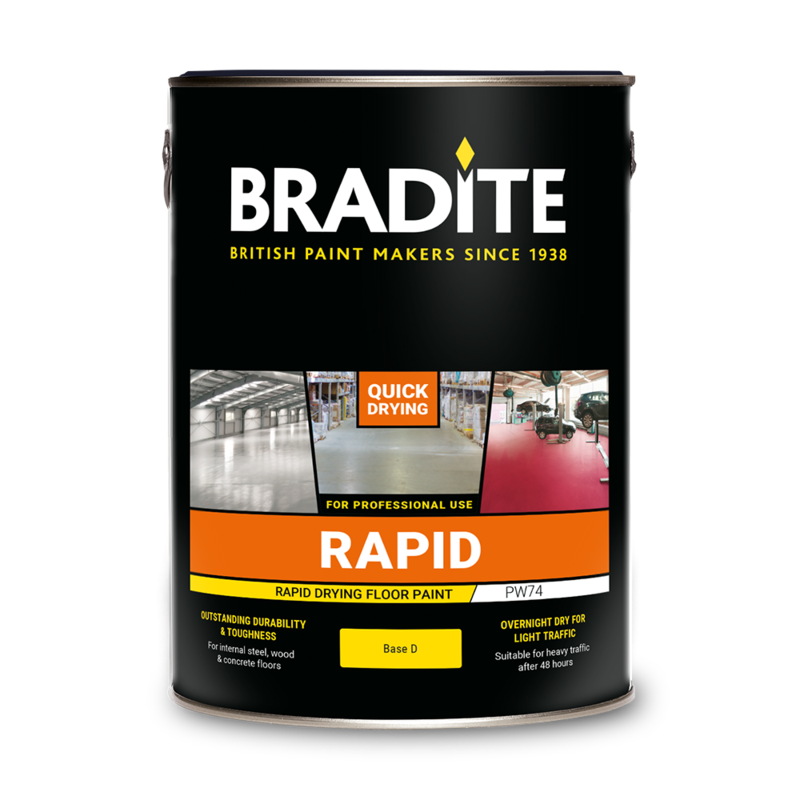 Correct preparation is vital to ensure you obtain the full benefit from Bradite Floor Paints. Ensure that new concrete or screeded surfaces have fully dried out. This can be tested by taping a piece of polythene or laying a rubber mat onto the surface, leaving it overnight and seeing if the surface has sweated by the following morning. If it is noticeably darker under the polythene or rubber mat, then the floor is still drying out and must not be painted. Ensure that the substrate is thoroughly clean. Scrape off loose and flaking material and degrease using Bradite TD39 diluted with 9 parts clean water and a scrubbing action. Rinse with clean water. 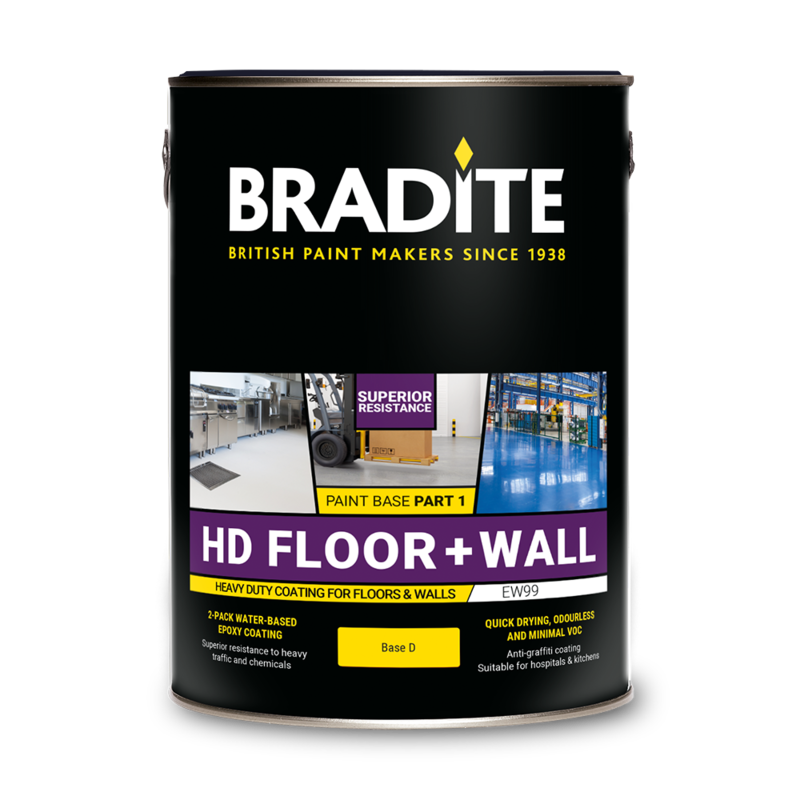 New power floated and smooth floors should be primed using Bradite ES40 Floor Primer or etched using Bradite TA37 Pre-Treatment for Concrete, then washed with fresh water and allowed to dry. Etching may need to be repeated until all laitance (loose cemeticious material) has been removed and the surface has a rough, grainy profile. To test concrete or screed floors are suitably prepared for painting, water dropped on the floor should soak in to give a dark patch, not droplets on the surface. For larger areas Vacuum Blast Cleaning or Scarifying may be more appropriate methods of surface preparation. Wooden floors should be clean and sanded to a smooth finish. Existing coatings should be checked for compatibility. They must be clean, sound, well adhered, well feathered and well abraded. All surfaces must be dry and dust free before coating. 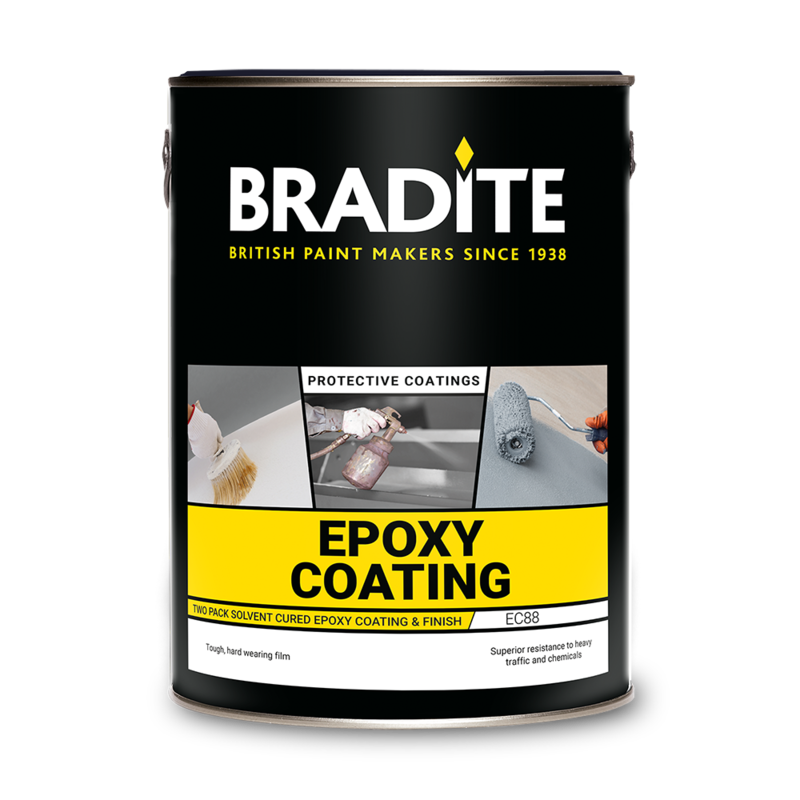 A number of Bradite floor coatings are suitable for external use. When painting external concrete it is important to check that the surface is above the water table and/or an intact DPM barrier is present. 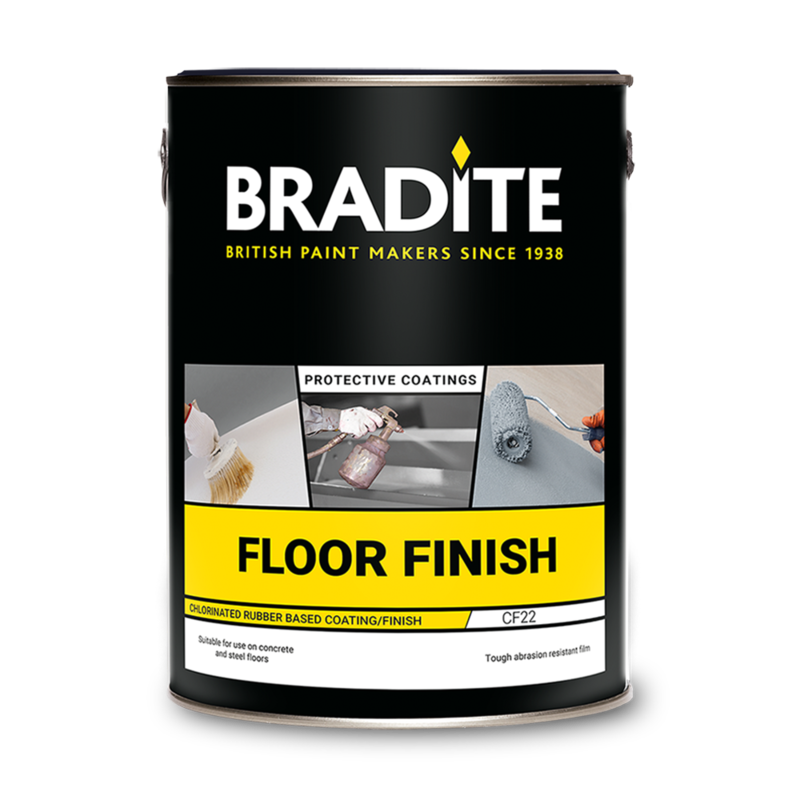 When using floor paints please ensure that the finished floor is safe against slips in all likely conditions.